The CompanyGym is specifically designed for companies, and that’s why saving time is so important. With an automatic algorithm, the system will track the hardest questions for each user and manage the questions according to their individual needs. If a question is answered wrong today, it becomes more important for that user and he will need to answer it more regularly than the others. The algorithm lets you focus on results and increase your ROI. Now you can create your own content and spread the word across your team members. It is easy to create questions and you can add videos and images to all of them. If you have a training why don’t you ask the trainer to create some multiple choice questions to import to your The CompanyGym account? Or if one of your team members goes to a training or conference why doesn’t he create questions about it to let the whole team learn about it? It is now easier and faster to manage your learning content! The feedback system allows you to correct mistakes in your questions with no effort! It also allows you to understand the doubts and wrong procedures in your company. Do you want to be sure that the procedures are clear for everybody? Wait until you have your team’s feedback and find what is going wrong. The CompanyGym trains your team and improves multi-directional communication in your company. It is very important to create great content, it won’t be enough if you can’t Target it. The CompanyGym allows you to send questions about digital marketing to your marketing team and the product specifications to your sales team. Different teams have different needs and that’s why we make it so easy to say who answers what in your platform. You can have the best training plan, the best content and best targeting, but if you don’t motivate your team it won’t work. That’s why we’ve decided to create The CompanyGym as if it was a game: it is easy to answer as if you were in a quiz and after you answer you can level up, track your progress, earn badges and review questions. It is simple, easy and built with an enjoyable and motivating system. The CompanyGym provides you detailed reports about each team and team member, about the most difficult topics and the easiest ones, the participation and performance levels... It has never been so easy to measure your ROI: now you can easily know if your team is learning the new concepts or not and find many other conclusions by analyzing your reports. 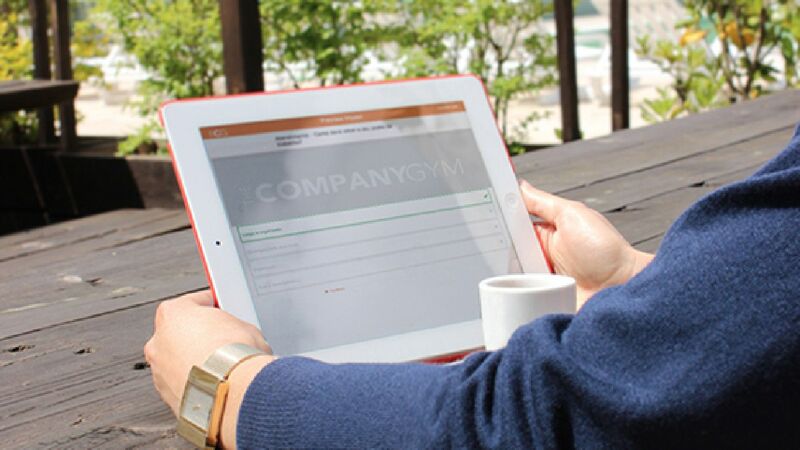 The CompanyGym is available in any platform, from smartphone to tablet or desktop. Your team members will be able to learn when and where they want.